The High Line’s planting design is inspired by the self-seeded landscape that grew wild for 25 years after the trains stopped running. 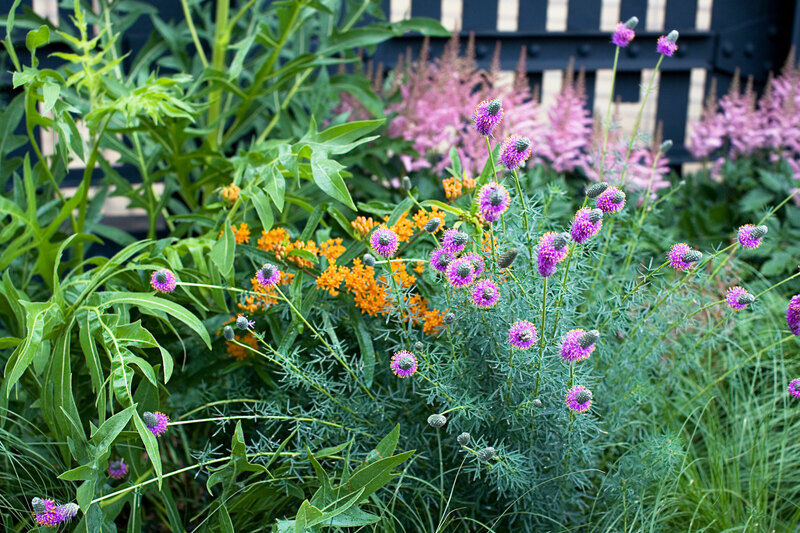 Wandering through our gardens, you’ll find perennials, grasses, shrubs, and trees that were chosen for their hardiness, sustainability, and ever-changing textures and colors in all four seasons. Enrich your experience with this digital guide to our gardens, art, history, and more—plus useful visitor information. These landscapes don’t just happen on their own. While many natural processes take place in the park, the gardens have also been carefully designed and continuously cared for. Shaping the landscape design requires a good eye and an understanding of how the plantings will evolve over time. 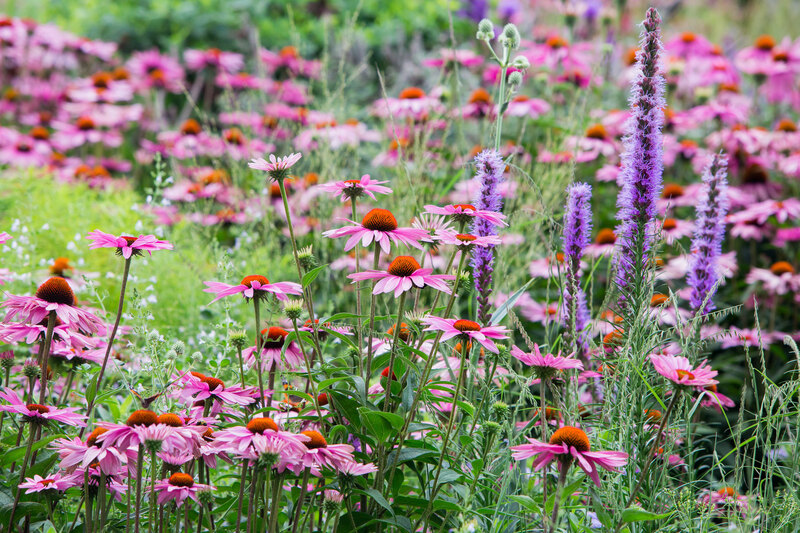 Changes in the gardens are guided by a team of gardeners who have collaborated with Oudolf for years. We create different moods and compositions throughout the seasons. Hundreds of plant species evoke the patterns of woodlands and grasslands. Birds and insects thread through and animate the plantings. The mood of each garden changes through the year, conveying the ever-changing wonder and mystery of wild places. 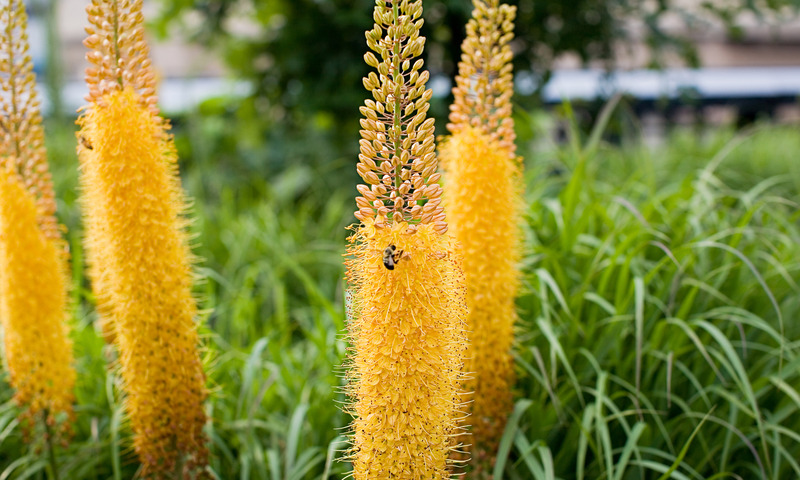 Walk just a few blocks along the High Line and you’ll pass through several, incredibly different gardens. The southern end of the park is shaded by gray birch and serviceberry trees. This section is full of grasses, perennials, and woody species that tolerate the shade of the surrounding buildings. Wetland gardens flourish near the water feature, a visitor favorite. We are committed to environmental sustainability in all of our gardening operations and maintenance, including Integrated Pest Management, composting on-site, and pollinator-friendly practices. Many gardens cut back their plants in fall. At the High Line, we leave our displays of dried leaves, stalks, and seedheads standing through the winter, providing both beauty for visitors and habitat for birds and other animals. To make room for new spring growth, hundreds of volunteers join our gardeners every March to complete the massive task of cutting back our plants by hand, to be composted and returned to the soil. 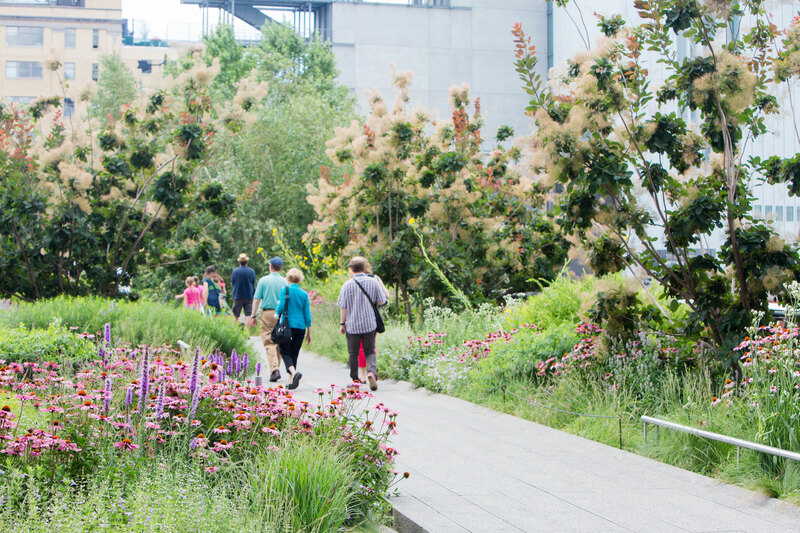 Be part of the deep care and effort that goes into keeping the High Line wild—and open for everyone. 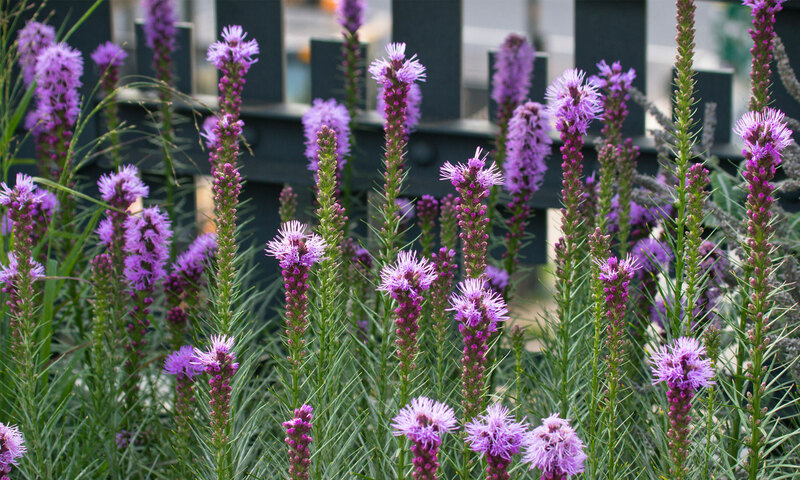 Adopt a High Line plant, and you’ll help keep our gardens thriving all year long. Horticulture on the High Line is supported by Greenacre Foundation.